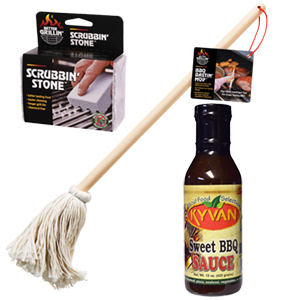 Better Grillin' BBQ Bastin' Mop 16"
Your most important tool for great tasting BBQ! 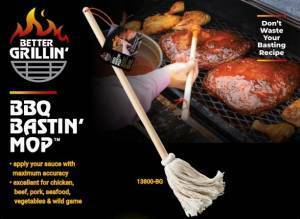 Marinate to perfection with Better Grillin's Bar-B-Que Bastin' Mop. The Bar-B-Que Bastin' Mop’s 16-inch handle puts enough space between you and the flame, so that there’s no need to worry about the heat. The full cotton mop head allow you to accurately apply your special recipe onto chicken, ribs, steak, seafood, vegetables, or wild game. 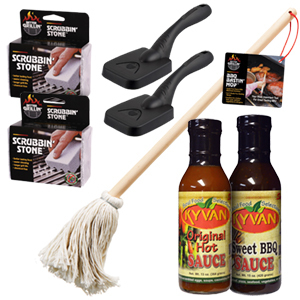 Avoid the mess and unleash your inner grill master with a little help from the Bar-B-Que Bastin' Mop! 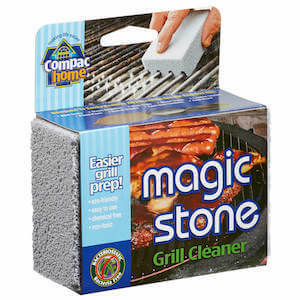 Be sure to check out the Magic Stone Grill Cleaner to complete your grilling experience.